The Malaysian government releases satellite tracking data for Flight 370. It's a day of mourning following the California killing rampage. And a Nigerian military official says he believes he knows where the kidnapped girls are. The wait is over: It's been a couple of months, but the families of passengers lost on Malaysia Airlines Flight 370 got their wish today. The airline released communications data between satellites and the missing Boeing 777 with 239 people on board. They hope the information will help them pinpoint the whereabouts MH370, although the airline and other experts have already crunched the numbers. Family tragedies: The University of California, Santa Barbara mourns the deaths of six of its students today. All of them were killed in a shooting and stabbing rampage by Elliot Rodger, who also died. Oops: It was an accident, but still it wasn't good. The White House accidentally revealed the name of the CIA's top spy in Afghanistan to some 6,000 journalists. The person was included on a list of people attending a military briefing for President Barack Obama during his surprise visit to Bagram Airfield in Afghanistan. Privately, administration officials are alarmed, but have declined to comment publicly. Not worth the risk: A top Nigerian military official believes he knows the whereabouts of girls kidnapped last month, but he says the nation's military will not use force to try to rescue them. It's too dangerous, according to Air Chief Marshal Alex Badeh. "We can't kill our girls in the name of trying to get them back." More than 200 schoolgirls were kidnapped in northern Nigeria last month by Boko Haram, an Islamist militant group. 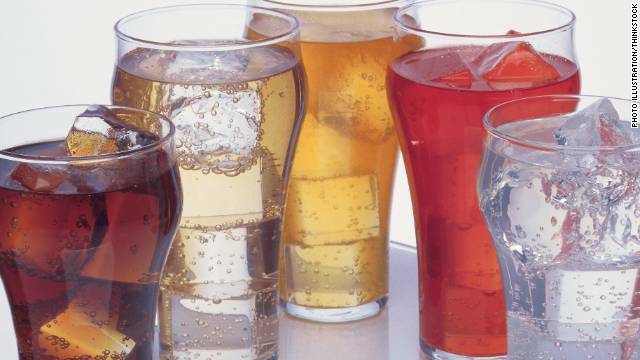 Bubbling with information: A study paid for by the American Beverage Association says dieters who drink diet soda lose more than those who only drink water. Four pounds more on average over the 12 weeks of the study. The researcher theorizes that the people who drank diet soft drinks felt less cheated and were better able to stick to their diets. - Super cute: We think both kitten and kid are happy with this relationship. - Adrenaline rush: Five wingsuit flyers swoop over NYC. - Baby bears gone wild: Cubs will be cubs. - Playground metal heads: We found a promotional video for a headbangers summer camp. - Steve Perry sighting: The former Journey frontman makes a rare on-stage appearance. He recently sang with Eels in St. Paul. WOW!!! Already is SICK about hearing the whole VA Clinic Hospitals "COOKING THE BOOKS" story!!! It should still be FRONT STORY....I guess everyone figures MEMORIAL DAY has passed so let's forget that and move on with the next trend. We need to help these individuals NOW before they become a MEMORY TOO!!! My wife is one and NO ONE WANTS TO HEAR HER STORY IN BATON ROUGE, LA. All they care about down here is LSU.....glad you all enjoyed ur cookouts yesterrday. so how are we going to get our girls???? ?